Bahia, meaning ‘brilliance’, derives its name from the beautiful Bahia Palace and surrounding gardens in Marrakesh. 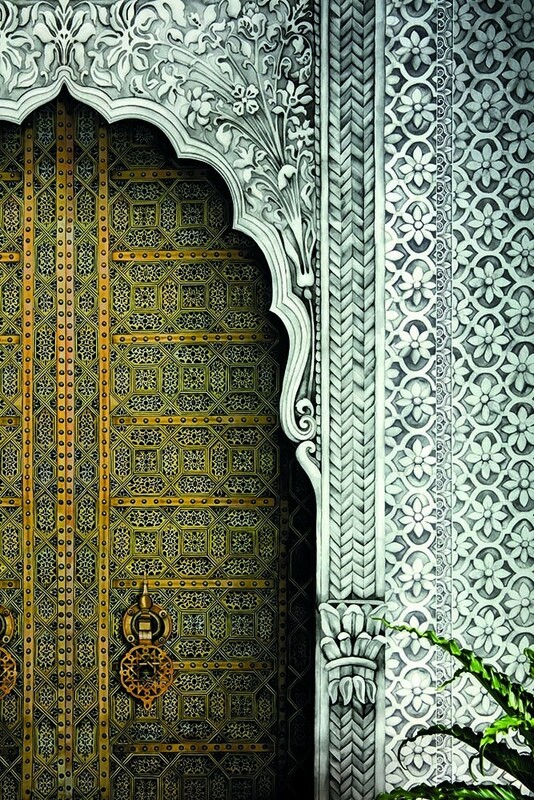 This decorative doorway panel’s design draws inspiration from both the palace and the Durbar Room of Osborne House, the palatial holiday house of Queen Victoria and Prince Albert. 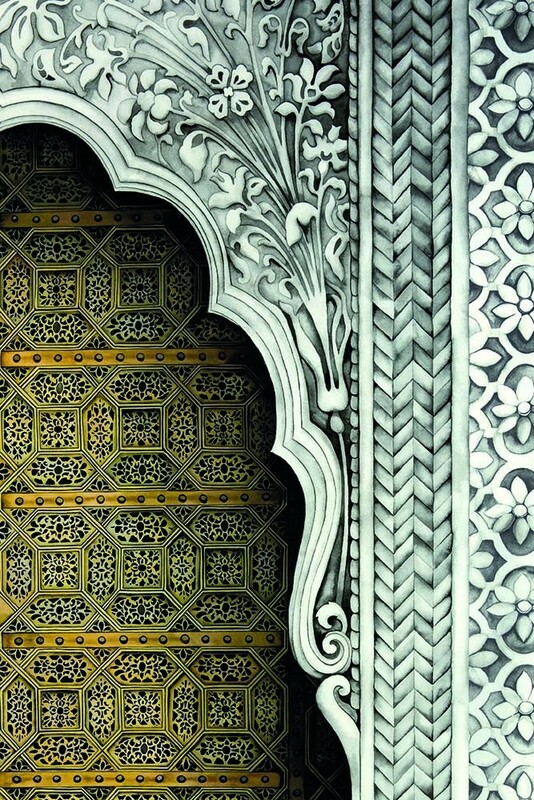 Its elegantly detailed Jali fretwork, elaborate, lace-like masonry and decorative motifs in Gold and Stone have been painstakingly drawn and painted by hand in order to reflect the highly-skilled craftsmanship of its inspirations. 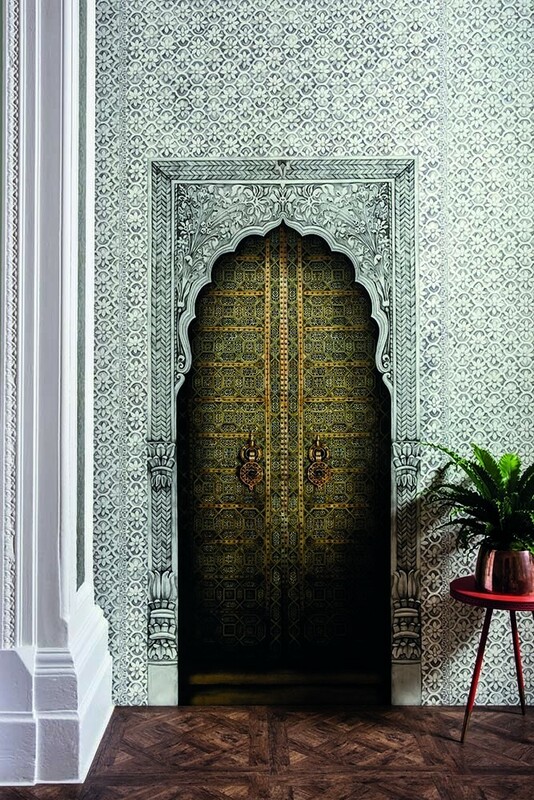 Embodying all the intricate design elements of the collection, Bahia can be used as a stand-alone panel, run side-by-side as a continuous design, or with the complementary Jali Trellis, which has been designed as a coordinate to the decorative panel.